We take pride in the competency of our staff. All staff complete 24 clock hours of training per year in topics such as child development, communication, and curriculum activities. In addition to this, all staff must be First Aid and CPR certified. 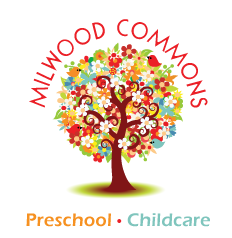 Milwood Commons Preschool and Childcare is a program of Milwood Commons. If you’re shopping online, using AmazonSmile is an easy way to help support our neighborhood! (c) 2019 Milwood Commons Preschool & Childcare. All rights reserved.